Energy recovery ventilation systems for single dwelling houses or multi-dwelling blocks, with crossflow heat exchanger. It guarantees continuous air replacement in single dwelling houses or multidwelling blocks up to 92% of efficiency. It connects, via ducting, to extraction outlets in each of the ﾑwetﾒ rooms. The fresh air that has been pre heated enters the rooms through supply airvents. 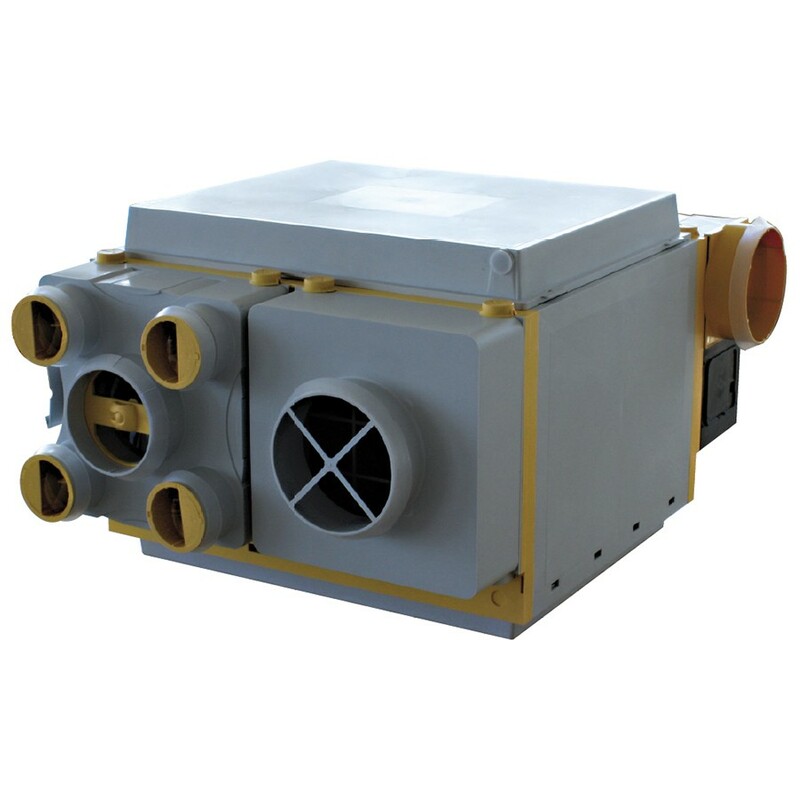 Equipped with 2 centrifugal fans (a supply and an extract fan), each with a 230V-50Hz motor, Class B, 2-speed, designed for continuous operation, and terminal housing to connect the power supply cable.